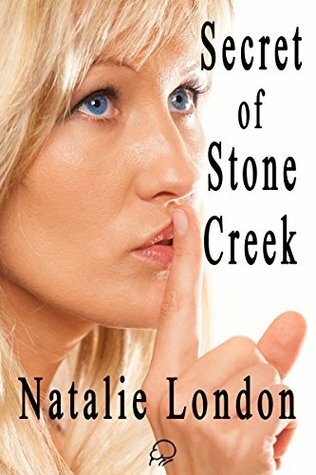 Natalie London has written a fascinating mystery that kept my attention to the very end. I certainly didn’t figure it out and enjoyed how she kept the reader guessing. Jen moves to Stone Creek for a short time to sort out the large house left to her by her grandmother. While there she comes across a newspaper article detailing an unsolved murder over 20 years before and finds herself becoming increasingly interested in finding out what happened. Jumping back and forth between the 1950s and 1970s really worked and cranked up the tension. I became more and more shocked as the novel progressed and the insight into the mind of a sociopath was chilling. The romantic element to the story was gentle and very slowly teased out but worked. I liked Jen and found her style of subtle investigation a welcome change in the mystery genre. As she began to surround herself with friends and acquaintances from the town the number of suspects multiplied. There were some I so hoped wouldn’t turn out to be the killer and others I was convinced were. A well written and captivating read.